Police have launched a murder investigation after a two women were shot dead in a house in St Leonards. 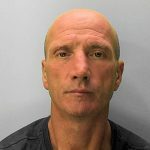 Police in Hastings want to trace and interview this man, in connection with a theft and a serious assault on a local man. The man in this CCTV image was seen near Lidl in Hastings town centre on the morning of Sunday 11 February, just after the victim’s bank card had been used to buy a packet of cheese strings in the store. The attack happened at the 68-year-old victim’s home in the West Hill area of Hastings in the early hours of Saturday, February 10. He had spent much of the evening in French’s night club and Club XS in the town before heading off home. Between 4.30 and 5.30am he was subjected to a vicious assault resulting in severe facial injuries. He had a deep laceration to his cheek, a fractured eye socket and cheek bones, cuts and bruising to his head and nose and a bleed on the brain. He was admitted to the Conquest Hospital in Hastings and later transferred to the Queen Victoria Hospital at East Grinstead. He has since returned home. Investigator Leah Yoshida said; “The man in the picture is not suspected of being involved in the assault, but we want to interview him about the use of the card. 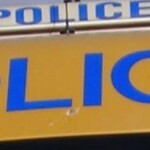 On 24 February James Starnes, 20, a factory worker, of Lewis Road, St Leonards, appeared at Brighton Magistrates Court charged with causing grievous bodily harm to the man at the address on 10 February. Starnes was remanded in custody to appear at Lewes Crown Court on 23 March. Continue reading Do you know this man? A reward for information leading to the arrest of wanted man Kesley Searle has been doubled to £1,000. Set at £500 early last month (February), the reward has been increased in a determined effort to trace Searle. The 24-year-old, from St Leonards-on-Sea, is wanted for breaching a community order imposed by Hastings magistrates in November after he pleaded guilty to driving whilst disqualified and taking a motor vehicle without the owner’s consent. It is believed that he may still be in the Hastings area. He is white, 5′ 9″, of medium build with blond hair and blue eyes. Anyone who sees him or knows of his whereabouts is asked to report details online or call 101 quoting serial 289 of 26/01. 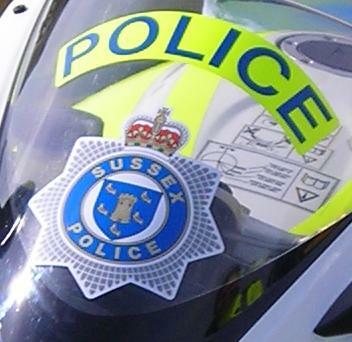 Police wish to trace the driver of a black 4×4 or sports utility vehicle which failed to stop at the scene following a collision with a 12-year-old boy in Winchelsea Lane, opposite the Hastings Academy, Ore, shortly before 4pm on Monday (29 January). The child sustained a fractured right knee and was treated at the Conquest Hospital, St Leonards-on-Sea. The incident happened in Furnace Lane, Beckley at 4.45pm on Wednesday (29 November). Police are offering a £500 reward for information leading to the arrest and conviction of Nigel Fry. Fry, 50, also known as Nigel May, from Bexhill-on-Sea, is wanted on a warrant for failing to appear in court. Officers also wish to speak to him about several other offences in the Eastbourne, Lewes, Rother and Wealden districts. Fry is described as white, 5’5″, 11 stones 2lbs, of proportional build, bald and with brown eyes. Anyone seeing Fry or knowing of his whereabouts is asked to report detailsonline or call police on 101, quoting serial 47170166775.